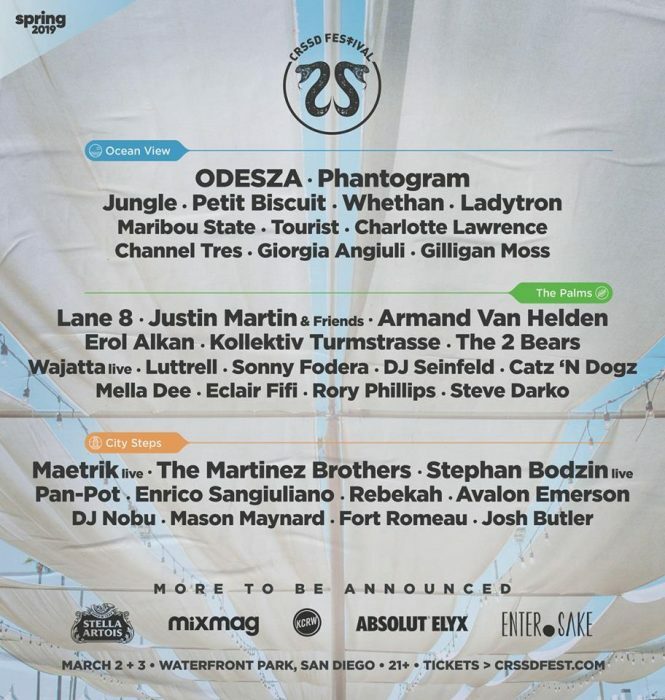 CRSSD Fest Spring ’19 has announced it returns on March 2nd and 3rd at San Diego’s’ Waterfront Park. Along with this news, the two-day festival CRSSD Festival lineup was just revealed moments ago. Per tradition, it will have three stages called The Ocean View Stage, City Steps, and The Palms Stage. All three introduce some of the best house and underground techno music including instrumental and live performances. Phase one lineup includes Grammy-nominated ODESZA, French producer Petit Biscuit, Dirtybird favorite Justin Martin, Berlin-techno duo Pan-Pot, veteran House pioneer DJ Seinfeld, and many more. The Ocean View Stage will host the legendary duo ODESZA, Whethan, Ladytron, Phantogram, Channel Tres, Filligan Moss, and Tourist. Reviving techno music is City Steps with performances like Pan-Pot, Stephan Bodzin [Live], Enrico Sanguiliano, DJ Nobu, Fort Romeau, MAETRIK [Live], The Martinez Brothers, and Sonny Fodera. The Palms Stage will be highlighting favorable House music acts like Lane 8, Luttrell, Armand Van Helden, Justin Martin, The 2 Bears, Wajatta [Live], and Eclair Fifi. Since inception, CRSSD has had an exceptional vibe by praising the Southern California culture and dance music.The paradise oasis is a 21+ event with a full mixology program, craft beers, and gourmet food-vendors. 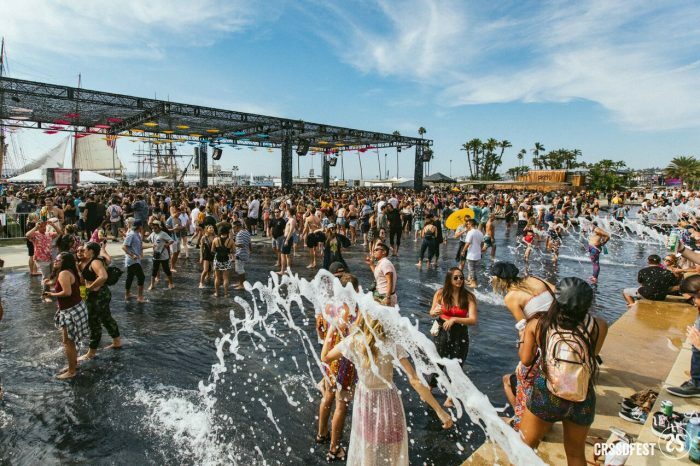 With Amtrak train station nearby, CRSSD will be complete with Instagram-worthy sunsets and splash friendly fountains. Tickets go on sale December 11th- get more information here.